My hair was curlier afterwards. I have a habit of leaving conditioner on my ends and I think the ACV helped to strip my locks of any residue. This left it bouncy and happy. My blonde was brighter. I've been leaving an excessive amount of time between my coloring appointments to improve hair health. So I am all about anything that naturally makes my hair look lighter. The smell. This con is so obvious, but needs to be mentioned because it is extreme. My husband definitely took a whiff and was not a happy camper. Sorry, Chris! The application. 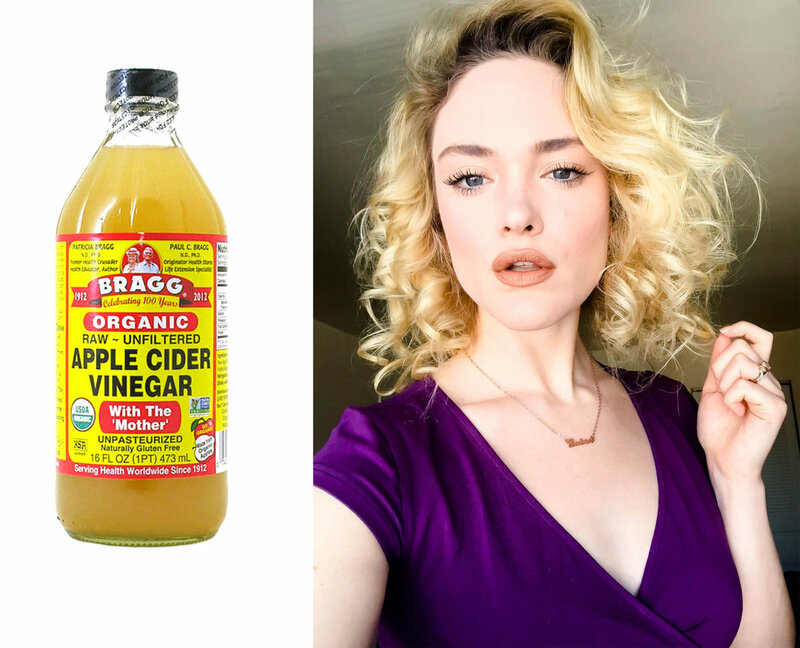 It's suggested to put the ACV in a spray bottle, but I didn't have one readily available...so I alternated between dipping my ends in a cup of ACV and very gingerly pouring ACV on my scalp. I was terrified of getting vinegar in my eyes, so the application process was absolutely frightening. PS: I didn't blind myself. This time. The results for me were worth trying this rinse again. It sounds like you could do this once a week, which could become doable for me once I get a spray bottle. The vinegar in a cup was not my fave.